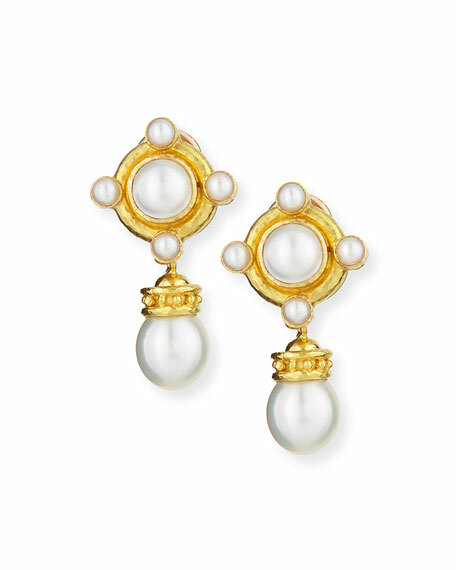 Drop earrings by Elizabeth Locke. Naturally colored South Sea cultured pearls. Omega back with fold-down post for clip or pierced option. Approx. 1.5"L x 0.9"W (with drop).